Crows Nest Restaurant Head Chef Hamish recently met with Stewart to demonstrate one of his feature dishes from the Crows Nest Winter menu. 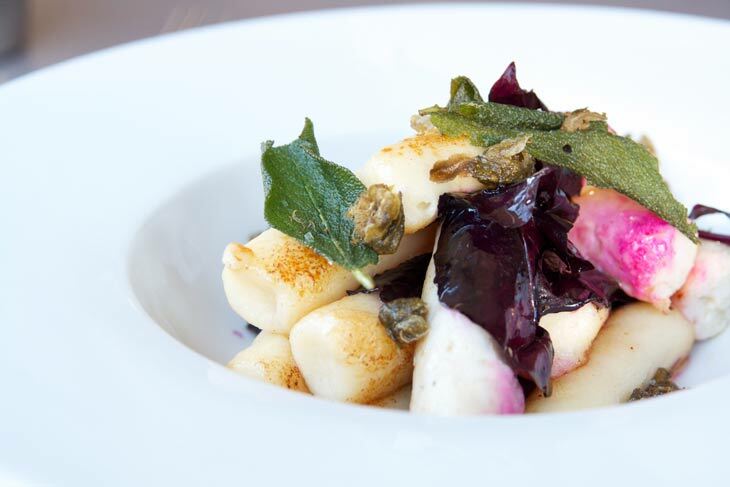 Sautéed scallop and barramundi chipolata sausages with potato and parmesan gnocchi, purple char, capers, sage and buerre noisette. Read and watch more about our Winter 2013 menus here.